I’m with Carmen! 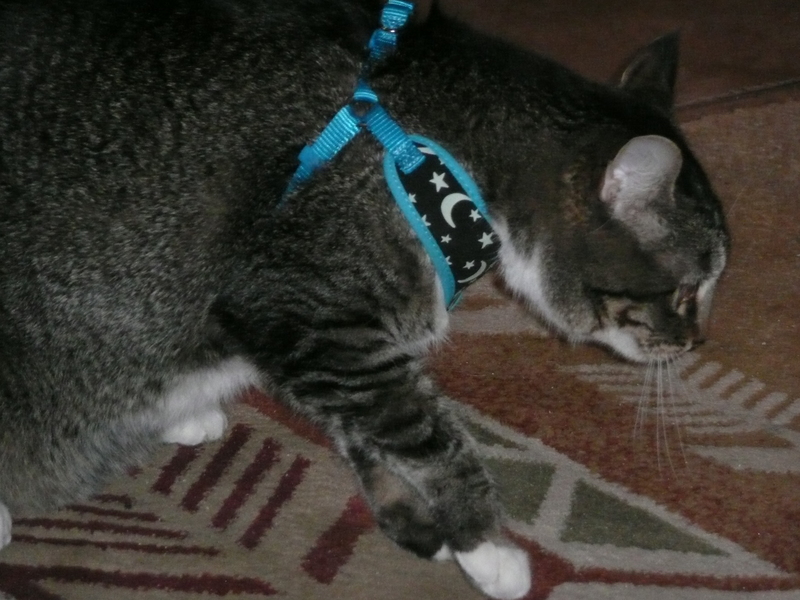 I’ll never understand why the furry beasts I live with enjoy being collared, tethered, and taken on walks. 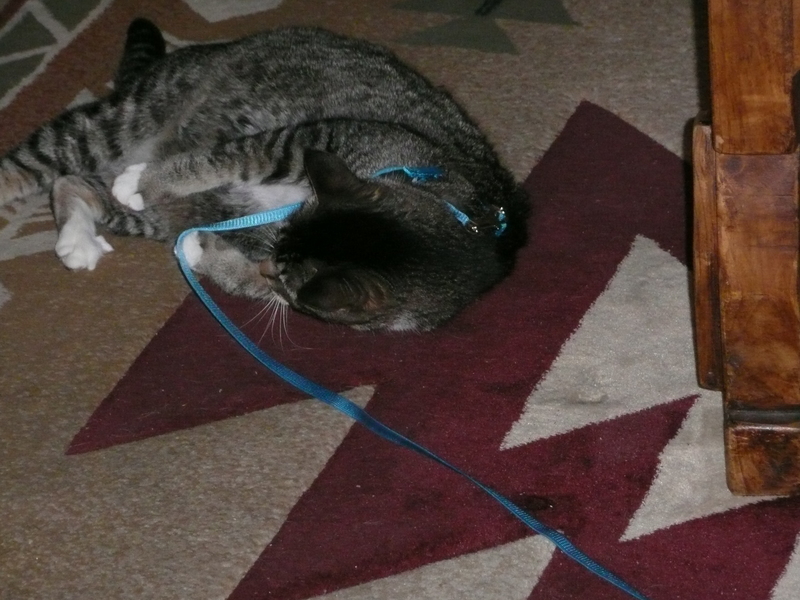 Seems utterly humiliating to this feline. Thank you Carol for stopping by my site and leaving your comments. I really appreciate it. At the very least I can say I really tried to help our Carmen get to enjoy the outdoors with us when we start full-time RV traveling next year. I just hope she doesn’t save up all that revenge and unleash it on YOU in the middle of the night! Some things just aren’t meant to be, lol!! Happy Valentine’s day my sweet! xoxo more!